Mum too swamped to cook up reunion dinner for the family this Chinese New Year? Have no fear, pen cai-loving people. 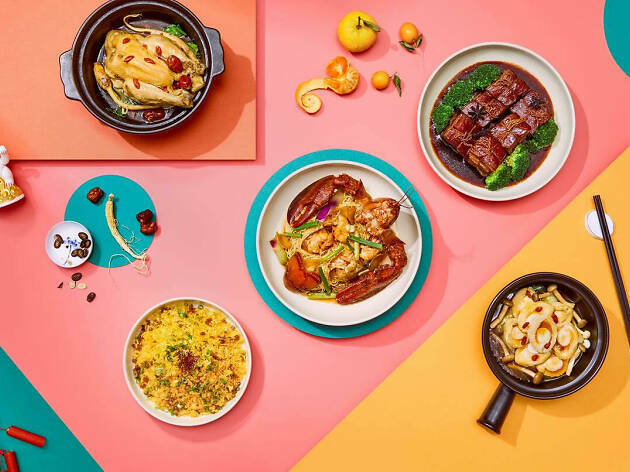 We've rounded up eight Lunar New Year feasts from traditional Chinese at old school joints to modern Asian dishes at hip joints putting their own spin on that classics. Here's where to go to celebrate Chinese New Year with friends and family to start the year of the pig on the right note – huat ah! 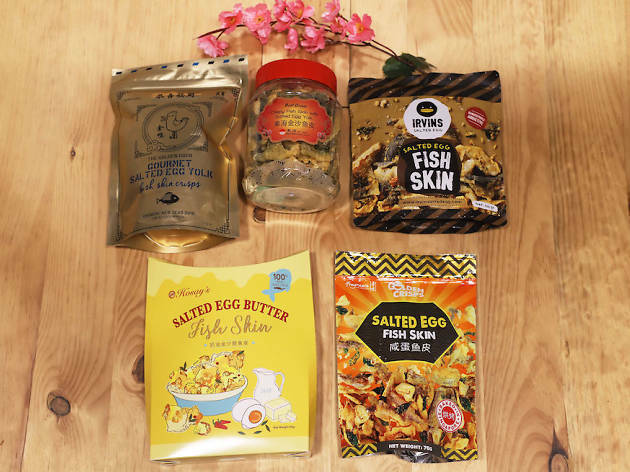 In celebration of Chinese New Year, Skai has released a series of dishes to mark the arrival of an auspicious new year. Try the Hoisin-glazed confit duck ($58), with egg roll, sour plum and crispy duck crackling. Diners can end the meal on a sweet note with the Piggy Bank dessert ($22) – a carefully crafted pig-shaped chocolate shell symbolising good fortune, health and prosperity. Lift up the pig to unveil a mandarin-ivory mousse in the shape of a coin to represent wealth and good tidings. Have a convivial reunion at The Ritz-Carlton, Millenia Singapore's one-Michelin-star Summer Pavilion. There's everything you'd need for an extravagant start to the new year – suckling pig with black caviar, jellyfish yu sheng, Ibérico pork dumplings with cabbage and braised prickly sea cucumber stuffed with more Ibérico pork. Be sure to make your reservations early because diners celebrating the first 15 days of the Lunar New Year at Summer Pavilion will receive a set of exclusive Ritz-Carlton red packets and a pair of Mandarin oranges (per reservation). Take the Year of the Pig to new heights with Yàn's signature roast suckling pig ($288). The auspicious hog is served three ways: its crispy skin wrapped in a housemade pancake, the carved shoulder is roasted and plated and the tender pork fillet is marinated in barbecue sauce and baked with lemongrass. 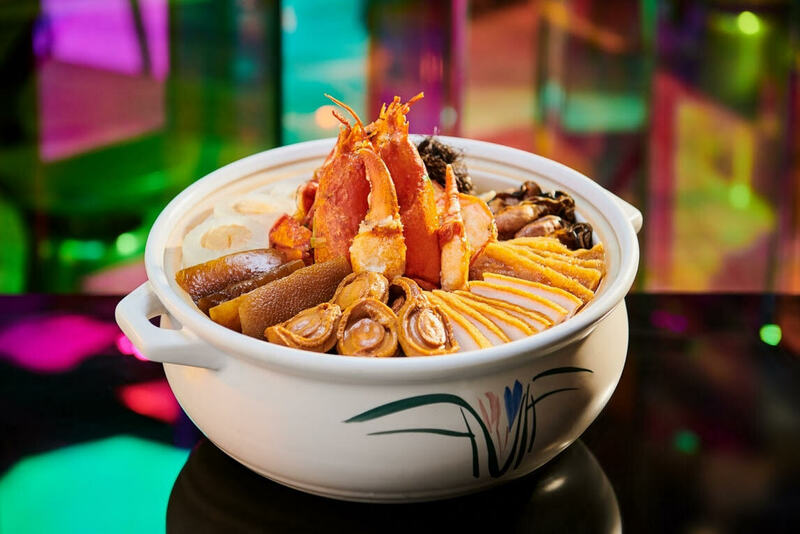 The Cantonese restaurant also presents The Harvest Pen Cai ($190), Yàn's take on the traditional claypot dish with pig trotter, roast pork and pig skin. Take the stress out of ordering for the whole table and opt for its set menu instead. Available during both lunch and dinner, sets range from $128 to $278 per person feature tasty treats like the Kaleidoscope of Prosperity yu sheng, which has slices of raw capsicum, as well as the nourishing superior chicken broth with fish maw, a comforting bowl that'll be a hit with both the young and old. 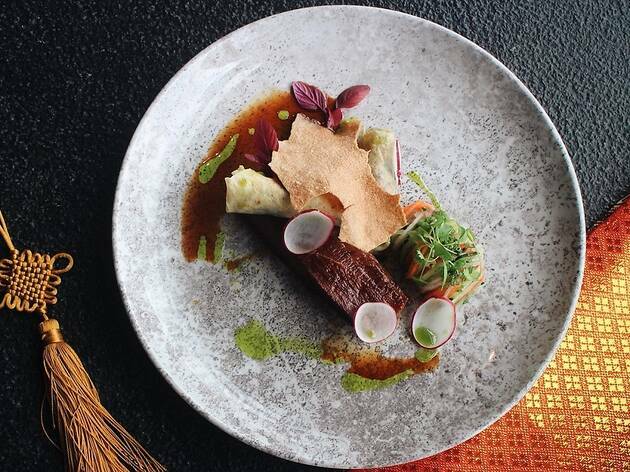 Usher in the new year with a fine epicurean experience Singapore's only two-Michelin-starred Chinese restaurant, Shisen Hanten by Chen Kentaro. There are seven auspiciously-themed set menus to choose from, ranging from the eight-course Prosperity menu ($538 for four persons) to the 10-course Majestic menu ($2588 for 10 persons), which includes dishes like roasted London duck, stir-fried lobster and the restaurant's signature foie gras chawanmushi and crab roe soup. Available from January 22 to February 19. 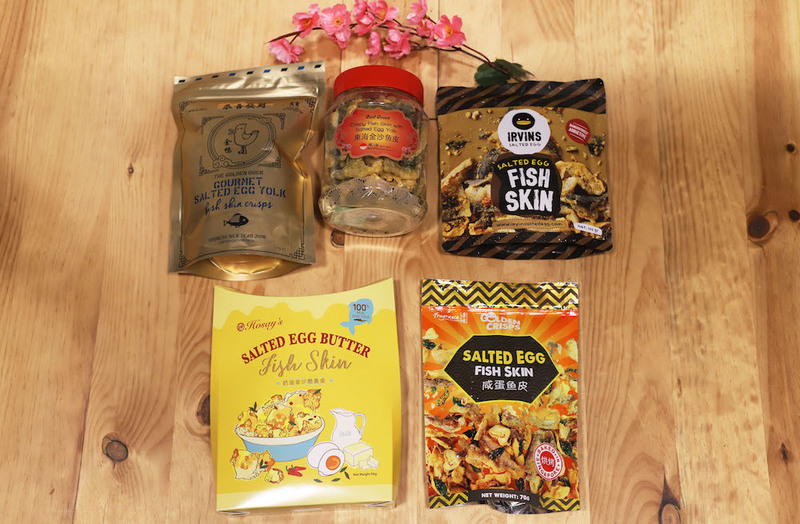 Celebrate the Lunar New Year by feasting on Singapore's heritage cuisine. 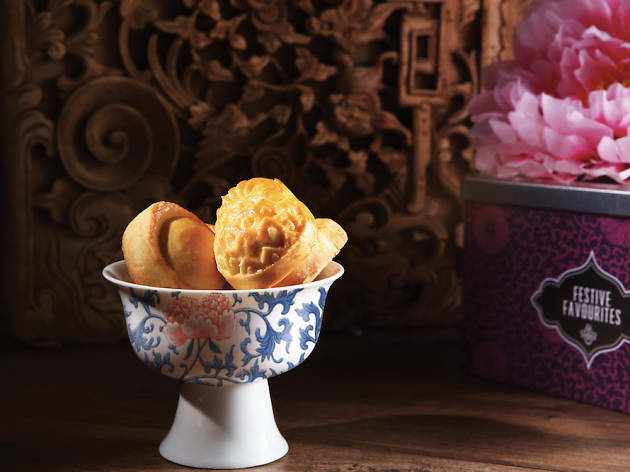 Folklore's Chinese New Year menu highlights festive Peranakan fare that chef Damian D'Silva learnt from his maternal grandmother. The do-it-yourself popiah is a crowd-pleaser and you also can't go wrong with favourites like mee siam and ondeh ondeh. Available from February 4 to 19. This Chinese New Year, Chopsuey Cafe presents two set menus for families and friends looking to come together and feast. Order the signature Lucky Lunar Lo Hei to keep to tradition, or choose from a host of exclusive CNY dishes with light and vibrant flavours. Chopsuey Cafe has also developed a new cocktail called The Giggling Pig to mark the occasion; the drink combines cognac with Cointreau and is topped with strawberry bakkwa. Begin the Lunar New Year at Auntie's Wok and Steam – Andaz's tribute to Singapore's zi char culture. 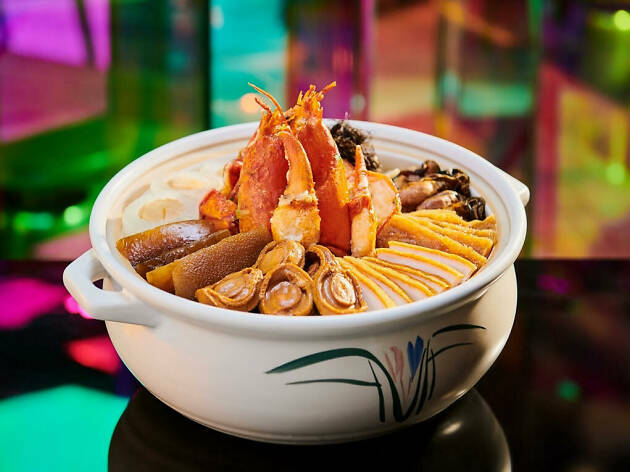 order à la carte or get the sharing menus ($288 for four people), ($468 for six people) or ($588 for eight people), which include dishes like Boston lobster egg noodles, claypot braised eight-head abalone and braised dong po belly. Available from January 18 to February 17. 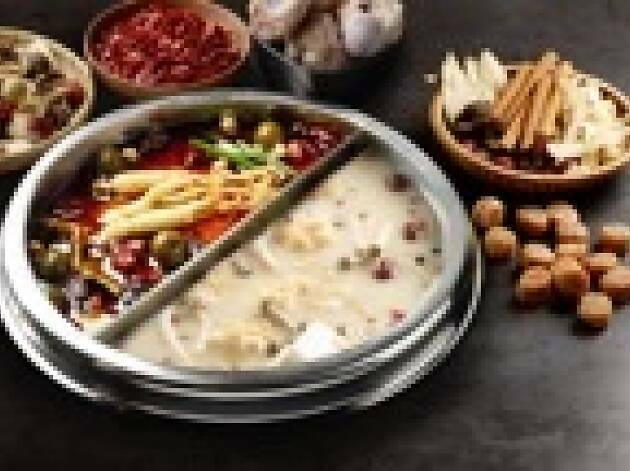 No reunion dinner is complete without a bubbling hotpot. At Beauty in The Pot, you get that and more with fresh ingredients and housemade specialities. Set menus range from ($188 for 2 persons) to ($988 for 10 persons). Pick your soup base, which promises rich flavours coupled with abundant benefits and start your year healthy and fresh. This Lunar New Year, Mitzo presents a luxurious feast by head chef Nicky Ng, who presents a modern take on traditional delights. Case in point, the salmon yu sheng” ($78/$138) is given a fresh spin with a stack of greens topped with citron tea jam, homemade bean sauce and fresh salmon.